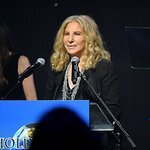 A number of celebrities were spotted out-and-about at the 44th Annual Los Angeles Police Memorial Foundation Celebrity Golf Tournament at the Rancho Park Golf Course in Los Angeles. 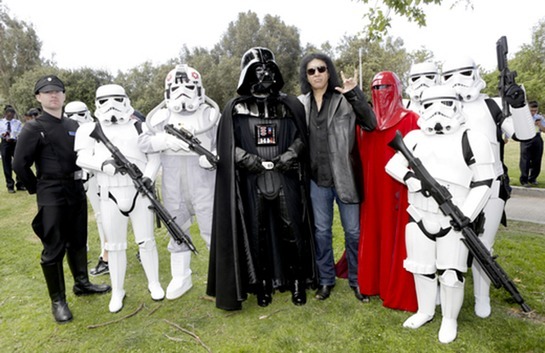 Rock legend Gene Simmons couldn’t help but show his love for Darth Vader and some of the Star Wars Storm Troopers at the 44th Annual Los Angeles Police Memorial Foundation Celebrity Golf Tournament at the Rancho Park Golf Course in Los Angeles. Proceeds from this event benefited family members of LAPD employees that have experienced catastrophic circumstances resulting from officer’s injury or death. Among the famous faces were Gene Simmons, Backstreet Boys AJ McLean and Nick Carter, Luke Wilson, Kendall Schmidt, Mark-Paul Gosselaar, Alan Thicke, and Andy Garcia. Since it’s inception in 1972, the Foundation has granted more than $16 million for medical, funeral and educational expenses without any taxpayer money. Sponsors from the event included: Live Nation, Rubicon Resources, Kaiser Permanente, In-N-Out Burger and William Comfort Products.